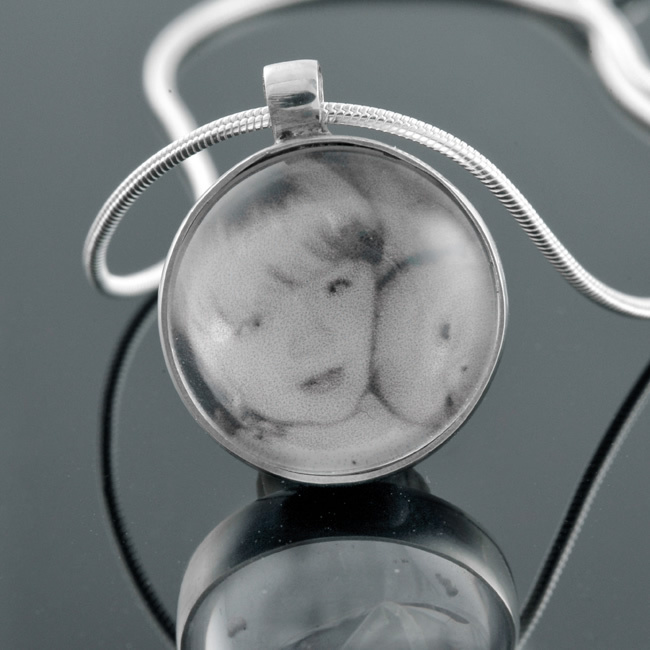 15mm round silver handmade necklace with a glass set stone using your desired image. Comes with a 16″ silver snake chain. Also available as a ring or cufflinks. After making your purchase, please send your photo/s via e-mail to (mail@lwsilver.com). SKU: N/A. Availability: In stock Size: N/A Categories: All Jewellery, Necklaces. Tags: bespoke, cabochon, commission, commissions, glass, handmade, image, jewellers, jewellery, liverpool, LWSilver, north west, personalised necklace, silver, silversmith, unique, wedding rings, wirral.